Calling all dogs! Bring your owners to a fun event at the Mast Store in Downtown Greenville! 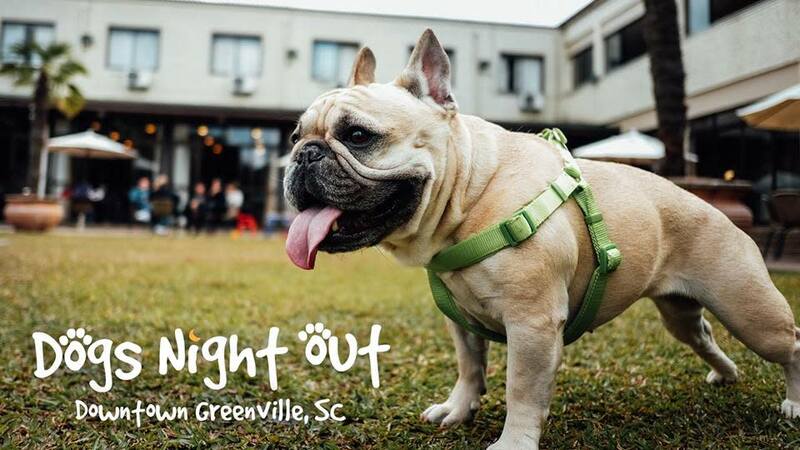 Want to learn about pet-friendly places in Greenville? Check in with our friends at BringFido to learn more! Learn how to fit Ruffwear harnesses and what collar and lead are best for your best friend. Sample treats and bones from Miss Bee Haven Honey Bones. Learn about a sitting for your dog at Urban Dog Photography. Noble Dog Hotel gives new meaning to your dog's staycation. Find out more at Dogs Night Out. Looking for a new friend or want to volunteer to help animals find a forever home? Drop by the Greenville County Animal Care table. They will be able to help you on both counts. Sidewall Pizza is bringing samples of pizza and breadsticks for all humans in attendance. Want somewhere to go with your best friend? Come meet folks from The Unleashed Dog Bar - a place for you and your four-legged best friend to unleash. Don't forget to put your name in the drawing for some great raffle prizes to be given away during the evening. Drawings will be at 5:30 p.m., 6:30 p.m., and 7:30 p.m. You must be present to win.